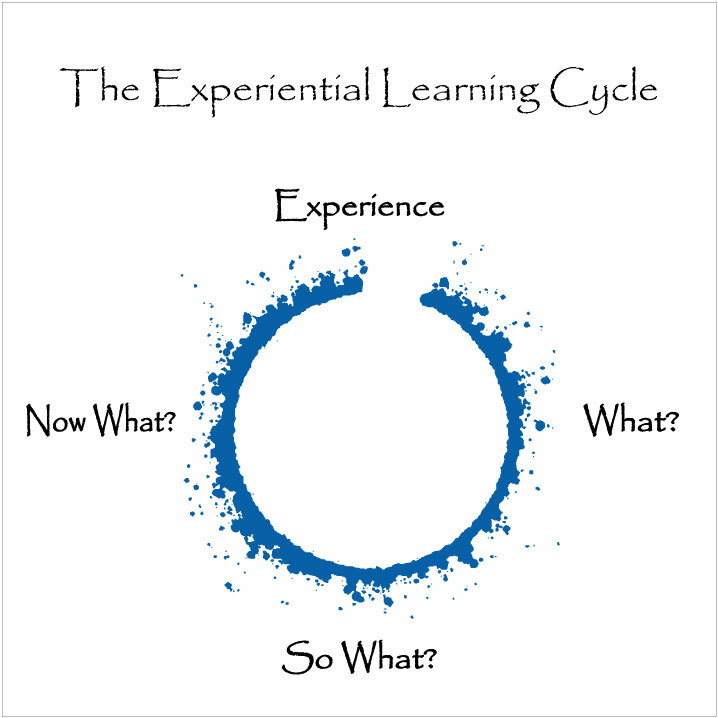 Introduction to the Experiential Learning Cycle: Step 1 – What? As teachers many of us think and talk about teaching. This is great, but is it enough? We often decide what we did wrong in class and make plans for what will do differently or better next time. This can certainly be helpful but sometimes it seems that these decisions come too quickly and easily. How often do we sit down and think about a class and try to figure out how and why it didn’t go so well? How often do we analyze classes that went well? In the first question we are asked to describe the situation while the second and third questions ask us to theorize and plan actions. The focus of this session will primarily be on description, specifically descriptions of “slices” of time from the classroom. By describing events in the classroom we can see more clearly what is actually happening and can begin to paint a clearer picture of who are learners are, how they are learning, and what role we have in that process. Describing will be treated as a precondition to theorizing and planning action. In the session, workshop participants will be asked to distinguish between descriptions and interpretations and to practice their description skills. They will also be asked to share experiences from their own teaching and will hear experiences from the presenter. Please note that this session plus Josette Leblanc’s following session can be seen as an introduction to the Experiential Learning Cycle although audience members need not attend both sessions. Michael has been in the ELT field in Northeast Asia for over 10 years and has worked as an instructor, editor, curriculum designer, English camp teacher, writer, assistant director, substitute teacher, trainer, and trainer-trainer during this time. Mike is currently working with future interpreters as an Assistant Professor in the Graduate School of International Studies at Chung-Ang University. Mike is a licensed Best Practices in TESOL trainer and affiliated faculty with World Learning/SIT. Mike received his MATESOL from the New School and has co-taught “Curriculum Development” for the New School MATESOL program the past two summers. 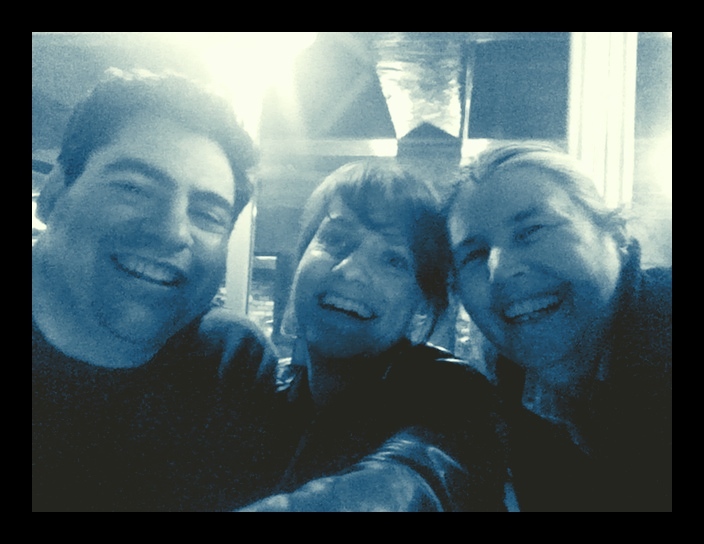 In KOTESOL, Mike is Associate Editor for the English Connection Magazine, Co-Facilitator of the Reflective Practice Special Interest Group, and a member of the KTT team of presenters. Mike’s teacher training interests include reflective practice, curriculum development, materials-light teaching/training, breaking “rules,” observation and feedback. And now please welcome, moi! Introduction to the Experiential Learning Cycle: Step 2 – So What? When we think of reflective inquiry, we may think of simply looking back on what happened in the classroom, and then making a few changes at some point in the future. The presenter does not consider reflection to be such a simple process. Basing reflective inquiry on the Experiential Learning Cycle (ELC) (see Dewey, Kolb and Gibbs), the presenter sees reflection as a rich and rigorous endeavor aimed at raising teacher awareness of what happens in the classroom, and also aimed at enhancing teacher development. The ELC can be applied to classroom moments by asking these questions: What? (description); So What? (theorizing); and Now What? (action plan). Although members will learn a lot about the ELC here, if members choose to combine this workshop with the previous workshop provided by Michael Griffin, members can expect to leave with an even stronger foundation of the ELC. What about Step 3 – Now What? We leave this up to you, until we find the time and the venue to create another workshop.